Overwhelmed by social media? 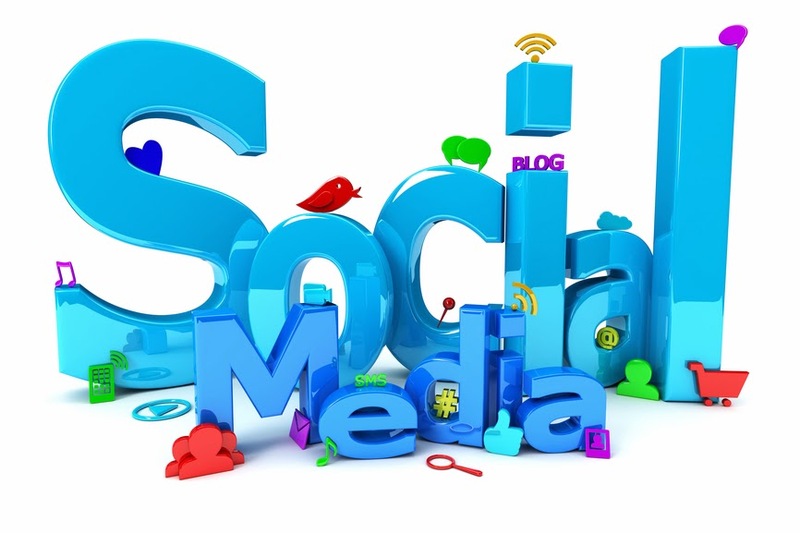 Randy Seaver of Genea-Musings, posted an infographic with a slew of social media options. View the infographic also on its original home infographicality. How many of these social media sites do you use? Social media can feel like mayhem or the tower of Babel. Voices from all over the world, talking on multiple channels at once. Do you have to be everywhere at once? The simple and clear answer is no. It's not about see and be seen. It's about figuring out what you want to gain from your social media experience. 1. Ask yourself who? With whom do you want to connect? 2. Ask yourself what? What do you want to learn, share or do? 3. Where do you want to be? Where is fixed by who and what. Try out different platforms until you find your fit. Once you have chosen your social media platforms, feel good that you have done your homework and found the best places for you to spend your limited time online. Post, connect and learn in your new social media homes and don't worry that you might be missing something, somewhere. Because you are...missing something. Let it go. If it is super important, that something is going to get around to your venue. If you just can't let go of missing out on a certain subject, create a Google alert. Everytime Google finds a new message of your subject, you will receive an email. Good morning! 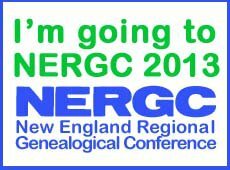 I am blogging today from the New England Regional Genealogical Conference in Manchester, New Hampshire. The conference kicked off yesterday with two preconference events, Technology Day and Librarian/Teacher Day. I was working the hospitality table outside of these events and spoke with many attendees as they were exiting. The feedback for the two events was extremely positive. Have you ever asked one of these questions? 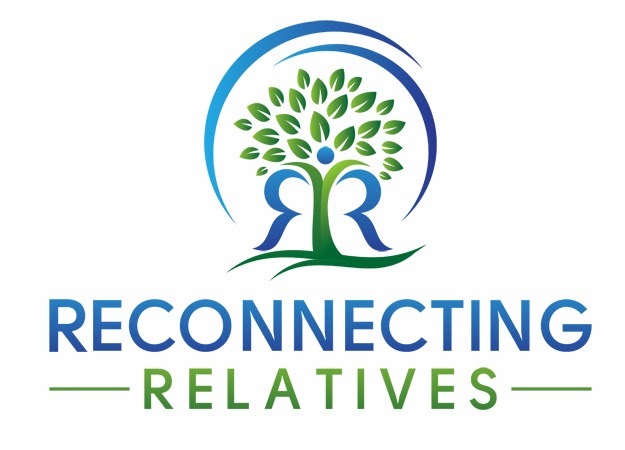 Why should I attend a genealogy conference? 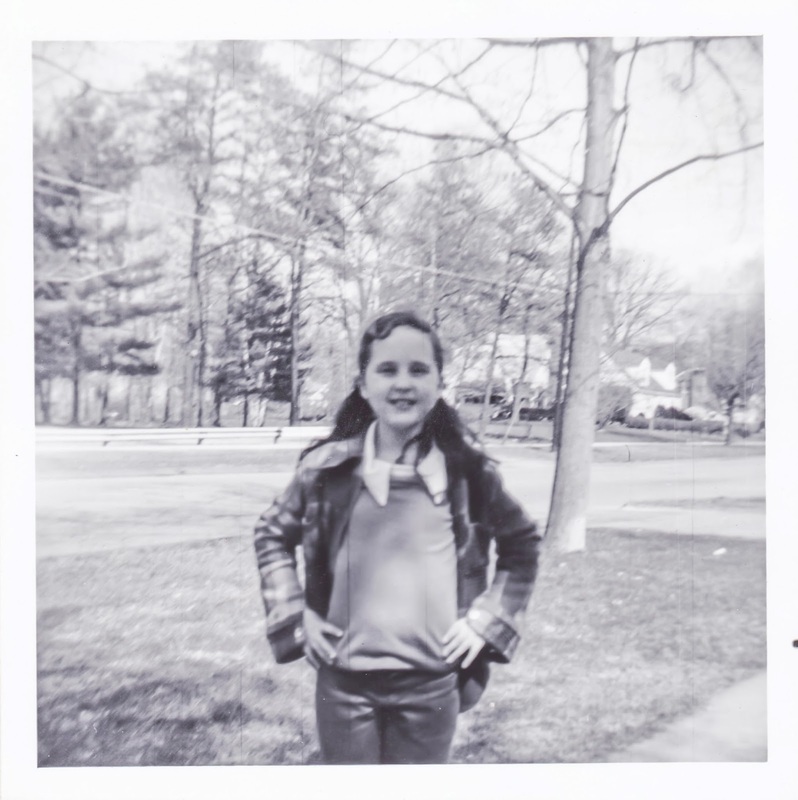 How can attending a conference help me to find my elusive ancestors? Spend time with people who understand your obsession and who love to 'talk' genealogy. Take classes from national and local genealogy educators. Discover new record groups to further your research. Learn how to squeeze every bit of information from the sources you already have. You will be shocked by what you have missed! Break down brick walls with new research techniques. Meet experts and get help during the Ancestors Roadshow. Always learn something new! You will make a breakthrough when you take home what you have learned and apply it to your genealogy research. Have I convinced you? Come on over to the New England Regional Genealogical Conference on Friday or Saturday. You can sign up as a day attendee and explore all that this educational event has to offer. Like many of you, I was disappointed that Google will be discontinuing Google Reader. Reader has been my go to service for blog reading. Over the years I have created lots of folders/tags and starred my favorite blog posts and authors. My work will disappear on July 1. There are many people bummed about the demise of Reader. Dan Lewis of New York started a petition on change.org; Google: Keep Google Reader Running. As of today it has been signed by 147,509 people. Signing a petition may or may not influence Google, but my choice is to let Reader go, to not sign any petitions and to get out while I can. I don't claim to understand the inner workings of such a massive company or the reasoning behind this decision, but I do know they have made it pretty clear to me that they don't care if I depend on their product. They are packing up their pail and shovel and leaving the sand box. Actually they are taking the sandbox too and telling me to pick up my sand and bring it somewhere else. All. Those. Grains. Of. Sand. All those blogs. My folders. My stars. What to do? Go to starred items. Add any blog with numerous starred posts to your new Favorites folder. Save any starred posts you can't live without. Note that all of the blogs are assigned to a folder. There are no 'loose' blogs at the bottom of my subscription list. click on Reader Settings (upper right, click drop down arrow next to ). click on Subscriptions tab. Each subscription will be followed by a change folders box. click on the folder(s) to which you want to assign each blog. Do this until all of the blogs are assigned. and you've got your starred blogs in a favorites folder. Head over to feedly. feedly has made it super easy to migrate your Google Reader blog reading to their platform. Click on Connect to Google Reader and enter your Google log-in and you are done. Your folders will appear on the left and you will be good to read. feedly creates an account and syncs with your Google Reader account. 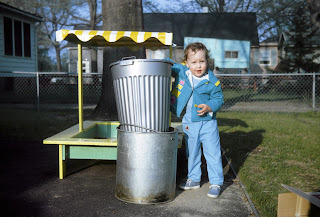 When Google takes its sandbox away on July 1, 2013, "feedly will have a copy of your feeds and categories. Instead of serving the article from Google Reader, the content will be served from a feedly server called Normandy." Right now it is super easy, but after July 1st, you will no longer be able to do it this way. 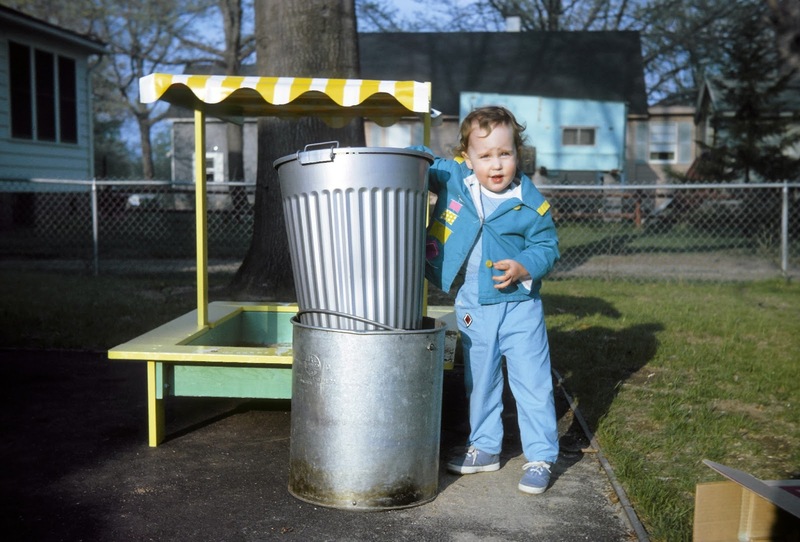 Whether you decide to use feedly or another sandbox, it is important to act now rather than wait until the sand is flowing through your fingers and your favorite blogs are blowing in the wind. What have you decided to do about Google Reader? Jyl Johnson Pattee, founder of Mom it Forward Media, gave one of the keynote speeches at RootsTech 2013. Reviews for her talk were mixed, but I enjoyed it, particularly the takeaway about creating WOW moments. You can watch the speech on the RootsTech website. If I could sit down and talk with Jyl, the only argument I would make against creating WOW moments is that WOW moments just happen. The best WOW moments are unplanned. 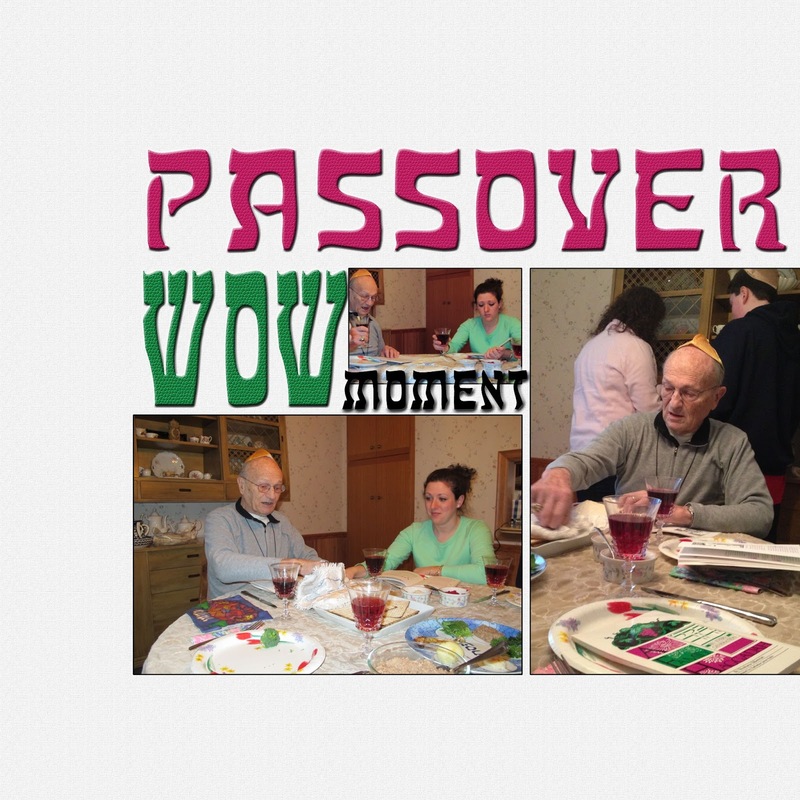 Our family was lucky to experience a WOW moment last Sunday, just before the beginning of Passover. Our lives have been in chaos and we slid into the Friday before Passover exhausted and depleted. 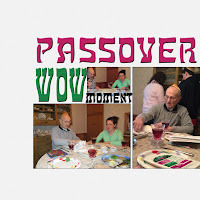 We hadn't been able to even begin Passover preparations let alone shop and cook. Quite honestly I was in tears thinking about the enormity of what we wouldn't be able to do. Flash forward to Sunday and my daughter came home from college to help us make Passover. Because of medical procedures which one of us would be undergoing, it was not possible to hold a traditional Seder on either Monday or Tuesday nights. Our solution was to do what we could, even if nontraditional. We went shopping for the Passover necessities, spent the day cooking and preparing and at five o'clock loaded up the car with all of the delicious, hot dishes and headed to my in-laws' home. My husband's parents at 89 and 91 are officially elderly. We are so lucky they are still with us and we are grateful for the wonderful support people, who help make it possible for them to continue to live at home. My mother-in-law was a little overwhelmed with the arrival of the five of us and our pots, pans, dishes, bottles and more. We put the matzoh ball soup, which my eldest daughter made for the first time, on to the stove to reheat, set up the Seder table, poured the wine and juice and gathered everyone at the table. 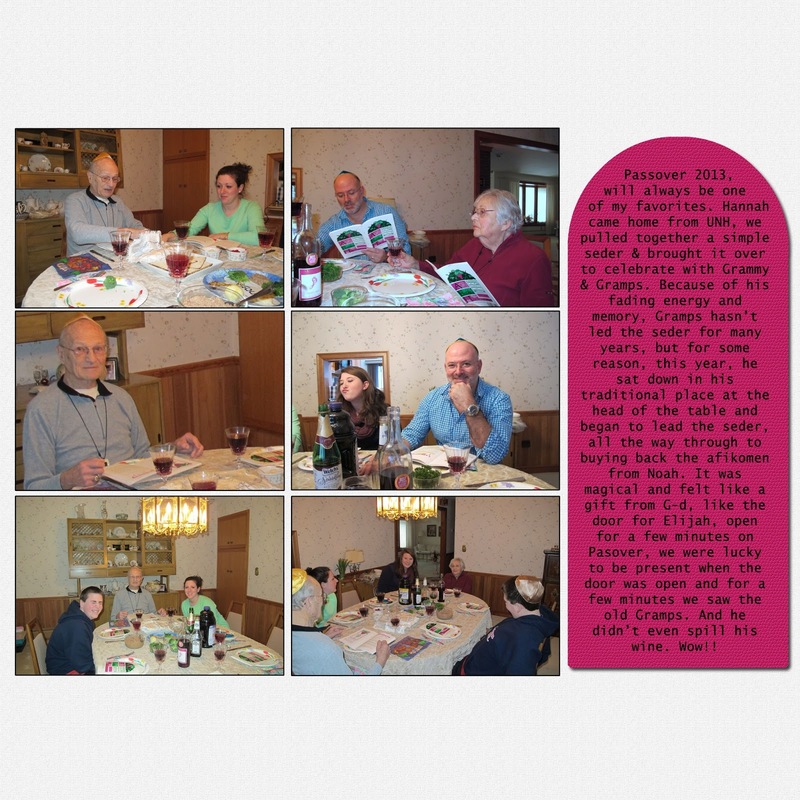 It happened as everyone had finally sat down together at the Seder table. Because of his fading energy and memory, my father-in-law has not led the Seder for several years. But this year, he sat down in his traditional place at the head of the table, picked up the Hagaddah and began to lead the prayers and the story of Passover. He made it all the way through to buying back the afikomen from our son and drinking the fourth (well actually his fifth) cup of wine. It was magical, a fleeting gift from G-d. Like the moment when we open the door for Elijah to welcome the beloved prophet into our homes, we were lucky to experience the moment our Dad, our father-in-law, our Gramps, once again, led our family in this ancient tradition. For a short time, he was back! And he didn't even spill his wine. WOW! Happy Passover! Chag Pesach Sameach! and Happy Easter to my Christian readers!